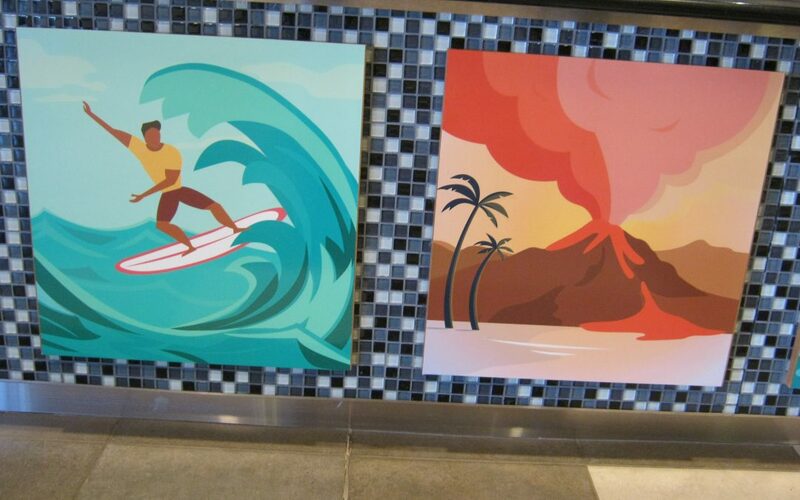 Katsu, coconut and garlic chicken; Kalua pork; freshly made Hawaiian rolls and pineapple gelato; the new Crossroads venue, Unko Dwayne’s Shaka Shak, opening Feb 7, from 11 a.m. to 2 p.m., will feature these dishes. The Shaka Shak will replace the pasta station. As well as introducing more variety into the stations, said Todd Huchendorf, general manager of food services at the Crossroads, the Shaka Shak helps the food services team work on their directive of providing good food at a good value. “(We’re) trying to find ways we can reach out and help more students. That’s really the directive the president has given us, is to serve more,” said Huchendorf. The Crossroads has been lowering prices and offering value items at every station to accomplish this directive. The new station is another part of balancing many different food options for students at lower prices with still economically coming out all right, Huchendorf said. “We realize that’s probably one of the main challenges for Crossroads is getting people through faster,” Huchendorf said. They hope the new station will help distribute customers more evenly at stations, helping students get food faster. On a trip to Lei, Hawaii, for a director’s symposium, Huchendorf found inspiration for the Shaka Shak. His visit to Papa Ole’s restaurant is an example of how he and his team decide to try out new stations and foods. Huchendorf said that he pays attention to restaurants, Integrated Business Core companies and other food options in and around Rexburg, and notices what those locations are doing well. He also draws on his and other team members’ love and passion for food to inspire the different stations at the Crossroads. “I have the Crepe Corner because I went to Paris,” Huchendorf said. Chef Dwayne Horikami, with his passion for food and artistic abilities, has also helped in the development of Shaka Shak. As well as creating the name, Horikami designed some of the graphics for the Shaka Shack. He also created bread and sugar work sculptures of underwater life to feature at the station. Huchendorf said some of his favorites on the menu include the katsu and coconut chicken. Huchendorf said the Crossroads is always open to helpful feedback. “I think you’d be hard pressed to find greater value; if you did, we’d love to know what it is you’re buying somewhere else that you think we could do a better job with,” Huchendorf said.